Being the “hostess (or host) with the mostess” is all about the prep work. With the holidays around the corner, managing your pre and post guest to-do list properly will ensure you actually get to enjoy the festivities alongside your guests. Luckily, we’re taking the guesswork out of the equation and sharing our personal list with you here. 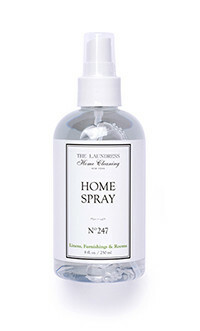 Tip: Inspire a feeling of calming elegance throughout every room in your home with the Home Spray. The No. 247 fragrance is a soothing blend of eucalyptus, notes of pine and hints of rose, lily of the valley, bergamot, and thyme. 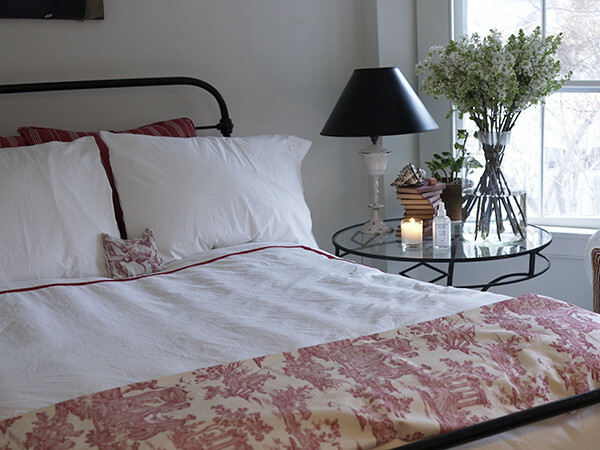 Tip: Put a vase of flowers or a candle on the nightstand in the guest room. It will immediately make your guest feel welcome. Tip: Freshen and remove odors from upholstery with a few spritzes – that couch needs to be ready for the turkey hangover naps! Tip: Keep nearby to clean hands when cooking and prepping food – perfect for post-poultry handling. Tip: Get ready to load the fridge by discarding expired food and lingering leftovers, and wipe down the shelves, compartments and interior walls. Prepare the microwave for lots of leftover cooking by wiping the inside down. 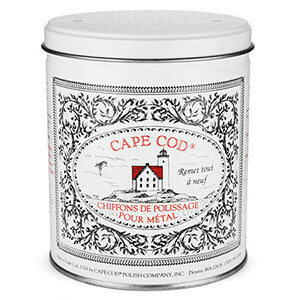 Tip: Get that silverware table ready by rubbing in the Cape Cod Silver Polish. Wipe the polish off with a buffing cloth and finish by handwashing in the Dish Detergent. 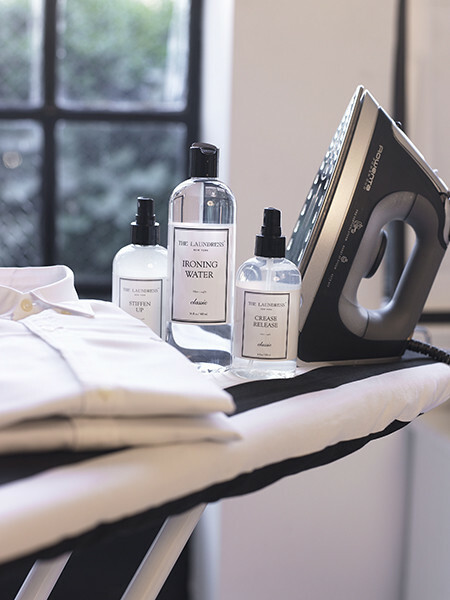 Tip: Add to an iron or steamer when steaming holiday apparel and table linens. You’ll be left with the added scent of the Classic fragrance along with an extra fine finish! 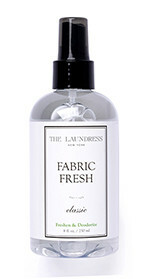 Tip: Spray during your ironing routine for a medium to light hold. Tip: For an immaculate bathroom, use the All-Purpose Bleach Alternative to remove soap scum, or add ¼ cup to 1 cup of boiling Scented Vinegar to unclog drains. Tip: Get your washing machine ready for lots of loads by adding Scented Vinegar into the dispenser with a sprinkle of All-Purpose Bleach Alternative in the bleach dispenser. Run a long cycle with hot water. 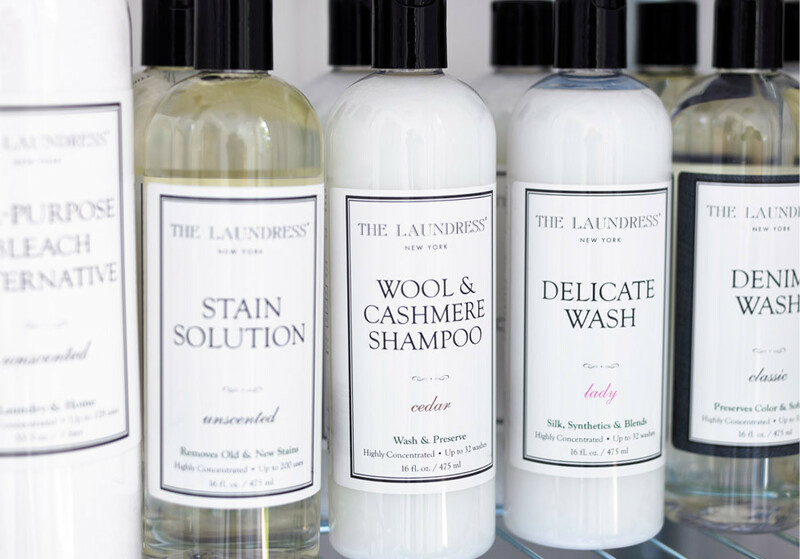 Tip: Give towels and linens a good washing before guests arrive in our go-to Signature Detergent. Watch out… your guests may never leave. 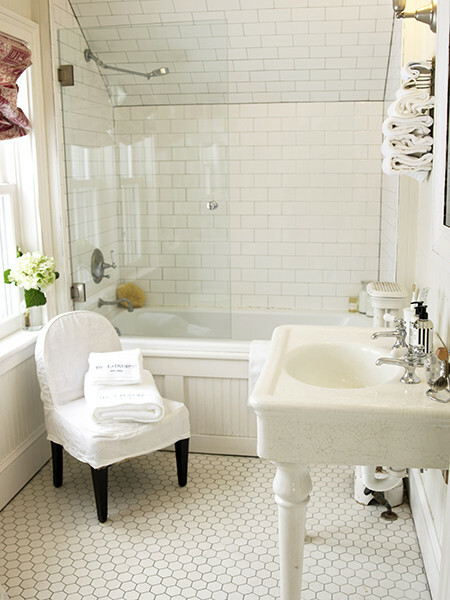 Tip: Leave plenty of clean towels and a basket of mini-toiletries out in the guest bathroom. This can include things like toothpaste, an extra toothbrush, shampoo and conditioner. Tip: Don’t stress the messy table linens! Apply Stain Solution directly to the affected areas, soak in a bath of hot water and All-Purpose Bleach Alternative, and launder as normal to get them back to clean and pristine. 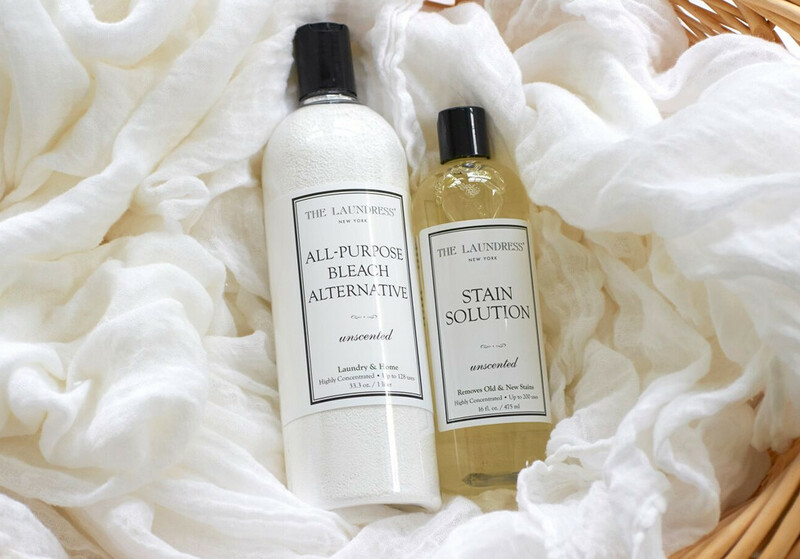 Tip: Soak table linens, towels, vintage heirlooms, and guest bedding in a bath of hot water and All-Purpose Bleach Alternative to whiten, brighten, and remove dinginess. Tip: Don’t waste hours scrubbing pots and pans. Sprinkle some All-Purpose Bleach Alternative and allow to soak overnight in hot water. Tip: Dilute with water in a bucket and clean the floors post Turkey Day family football game. Tip: Clean out your trash cans and recycle bins by filling the basin with mixture of water, the All-Purpose Bleach Alternative and the All-Purpose Cleaning Concentrate, scrub with The Laundress Scrub Brush, and allow to soak for 10 minutes. 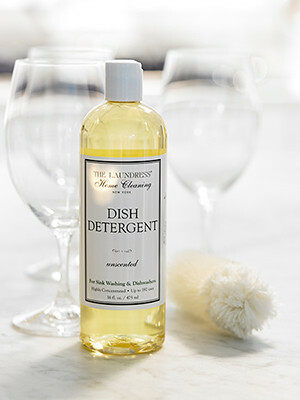 Tip: Use to clean dishes and glassware, and remove grease, baked-on food, and cooking messes. 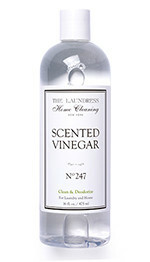 Tip: Give delicate glassware, such as crystal, wine glasses, and decanters, a scrub. 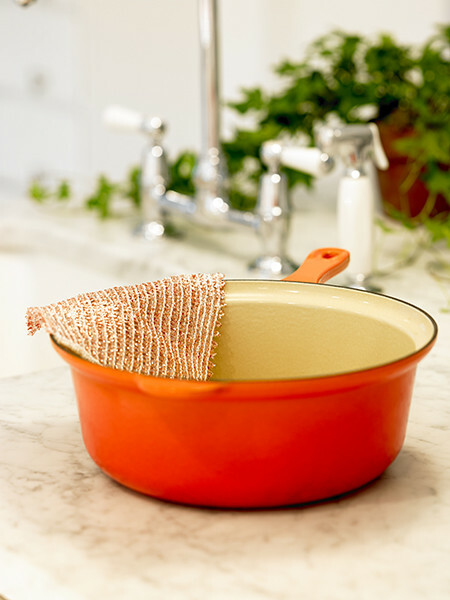 Tip: A huge help when cleaning cookware – from turkey pans to pecan pie dishes. 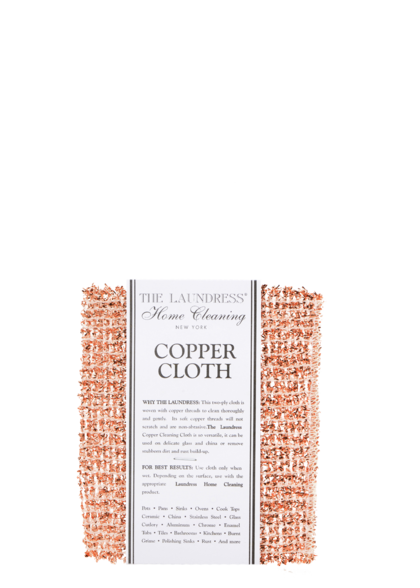 We also love the Redecker Copper Pot Scrubber, available at The Laundress flagship store. Tip: Clean your cutting boards and countertops after the big meal by applying directly. 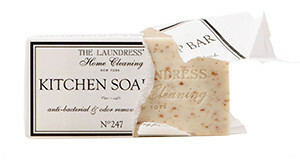 Tip: Ideal for giving a good scrub down to ovens left with food residue and greasy messes. Tip: Keep near the sink to clean hands and wooden kitchen tools, such as cutting boards, salad bowls, wooden spoons, and cheeseboards. 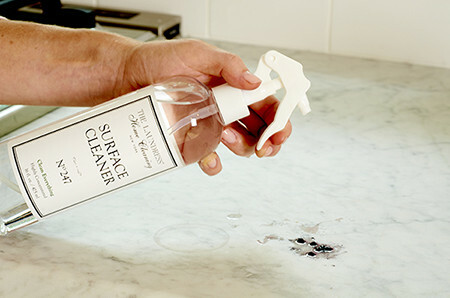 Tip: Clean every, and we mean every, surface – from dining tables to guest bathroom sinks. 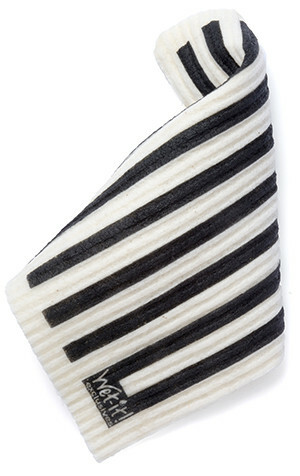 Tip: This reusable sponge is perfect for even the toughest cleanups – from washing dishes to wiping down countertops. Tip: After the heavy use, rejuvenate cutting boards and get ready for the next holiday! Pour a small amount on a clean cloth, apply to your cutting board, and follow with a rinse.